Royals boarding Royal Air Force jet today, Wednesday, March 20, 2019. 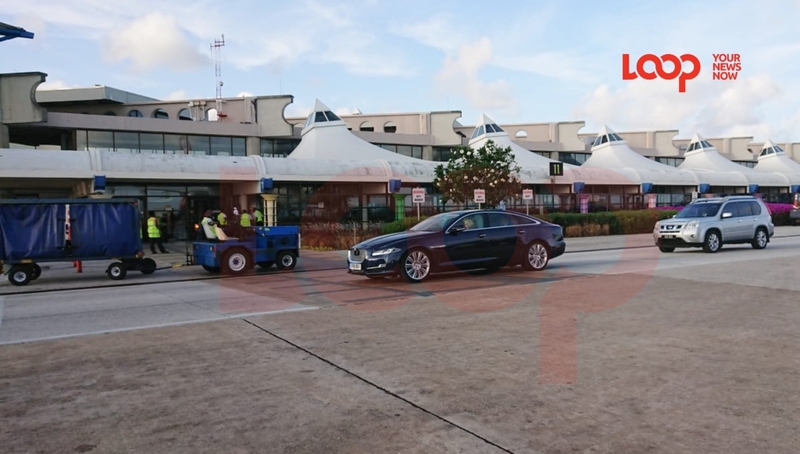 Jetting off the St. Vincent and the Grenadines today, Prince Charles has left Barbados with a huge compliment - "Barbados is a remarkable island!" 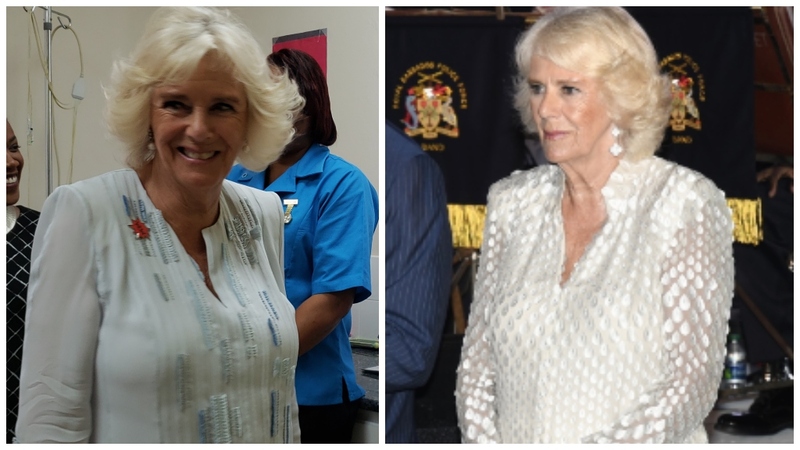 Accompanied by the Duchess of Cornwall, the two are set to commence her debut visit to St. Vincent and the Grenadines. It will be a first for her but not for His Royal Highness. 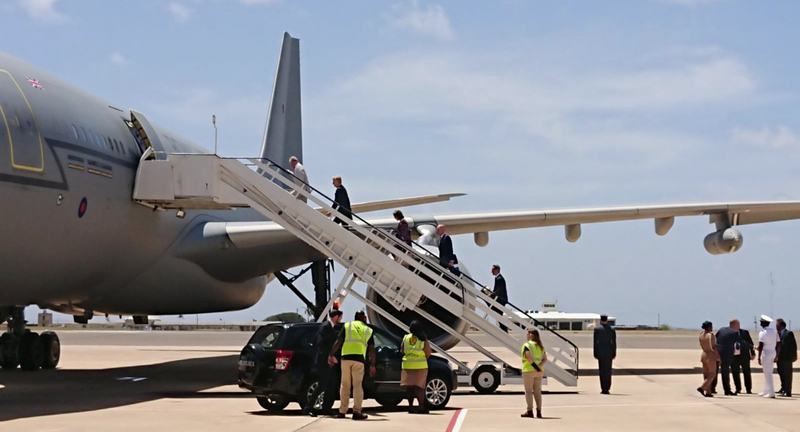 However, before they boarded the Royal Air Force jet at Barbados' Grantley Adams International Airport after 11:00 am, today, Wednesday, March 20, 2019, the heir to the British throne, Charles, Prince of Wales, showered praise on Barbados for its community activism, championing global environmental issues and inspirational leaders. His comments came as Their Royal Highnesses attended an official reception held in their honour last night at Government House. Present were Governor General Dame Sandra Mason, Prime Minister Mia Amor Mottley, Chief Justice Sir Marston Gibson and a host of dignitaries, including musical icon and Global Ambassador for the Prince’s Trust International, Lionel Richie, and Sir Tom Jones. They also met national hero, The Right Excellent Sir Garfield Sobers, other cricketing icons, Sir Everton Weekes, Gordon Greenidge and Desmond Haynes, and West Indies cricket captain Jason Holder. 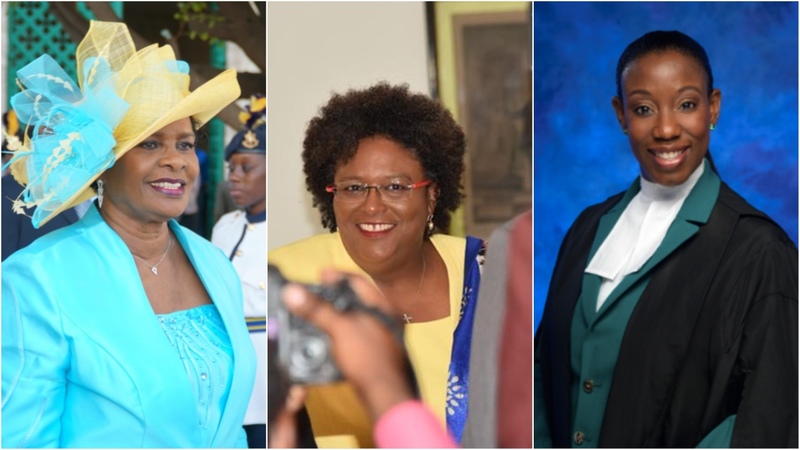 leadership, not only the Governor-General and the Prime Minister, but also the leader of the other main political party, as well as the Director of Public Prosecutions and a large number of Permanent Secretaries, Ambassadors and High Commissioners. graphically stated late last year, even 1.5 degrees centigrade of warming will pose catastrophic threats to the ocean&#39;s ecosystems, particularly its coral reefs. As we seem set to achieve at least three degrees warming by the end of the century, we have our work cut out! 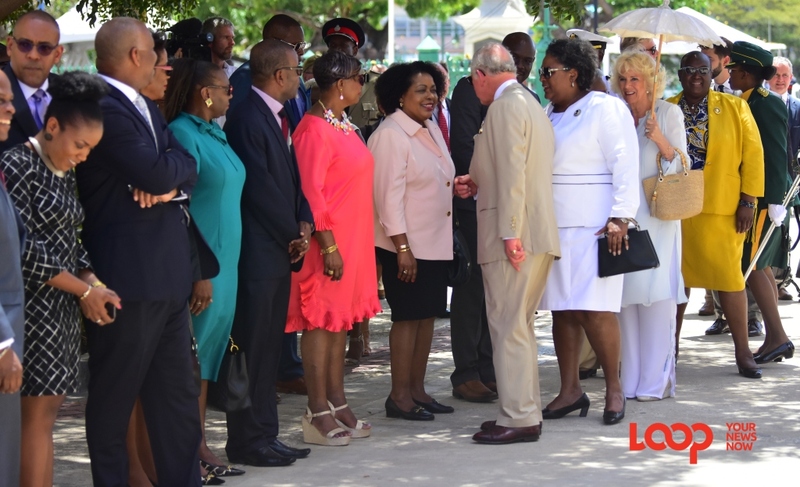 Trust International, while the Duchess attended a Women of the World Think In, toured the Derrick Smith Vocational Centre and the Maria Holder Diabetes Centre. 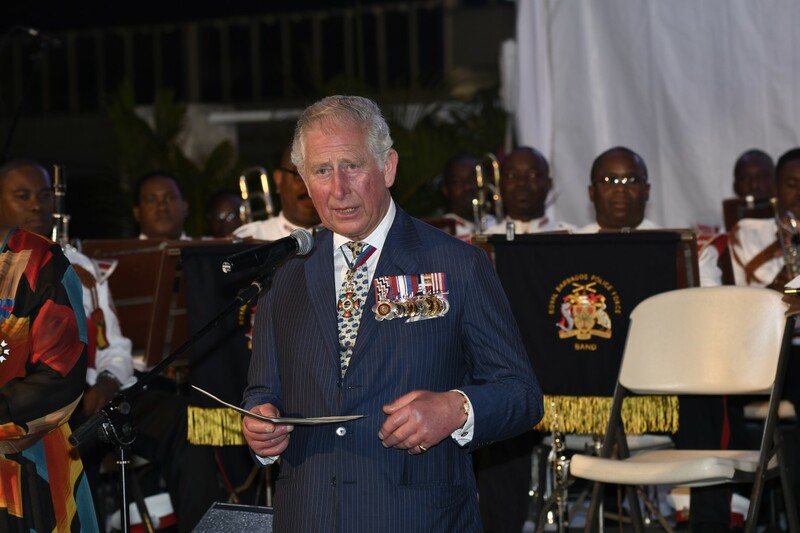 Their Royal Highnesses will attend a church service in Barbados on Sunday, March 24, before leaving the island, as they wrap up their tour of a number of Commonwealth nations.